I didn’t thought that my hometown Chiba have Jingisukan shop except cheap all-you-can-eat shops. 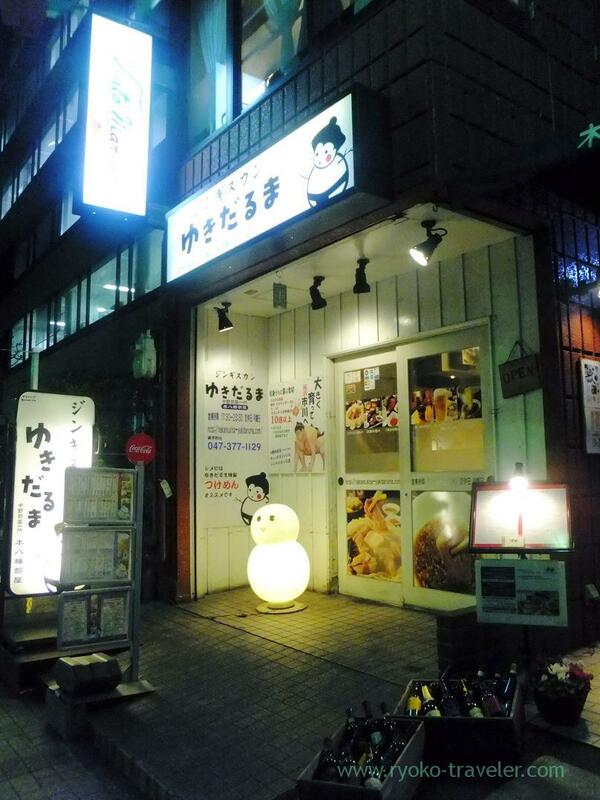 But unexpectedly such a jingisukan restaurant is not far from Motoyawata station. “Yukidaruma” means him. Snowball. Why some drawings and photos are displayed is this restaurant is run by someone who is former rikishi. My drink was coke highball (コーラハイボール, 477 yen). This highball contains much whiskey 😀 It was good. 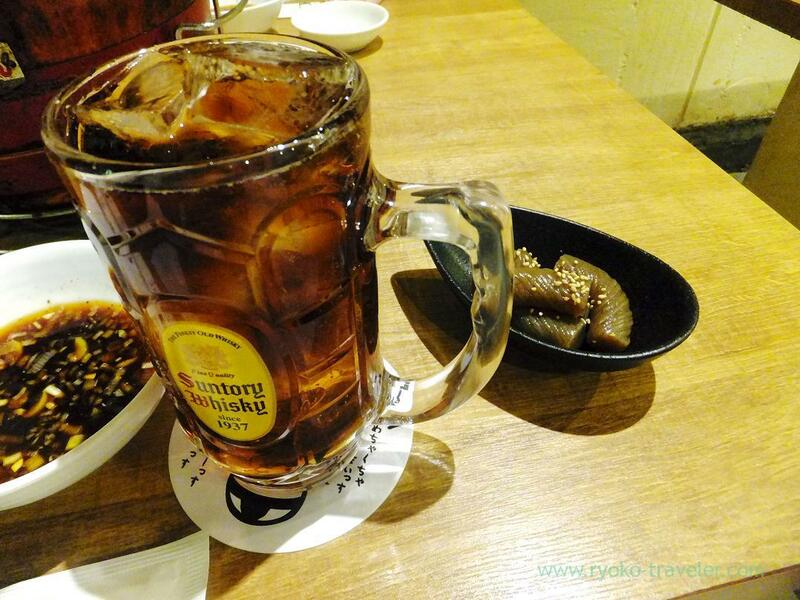 Otoshi is served if you order something alcoholic drinks (plus 191 yen). 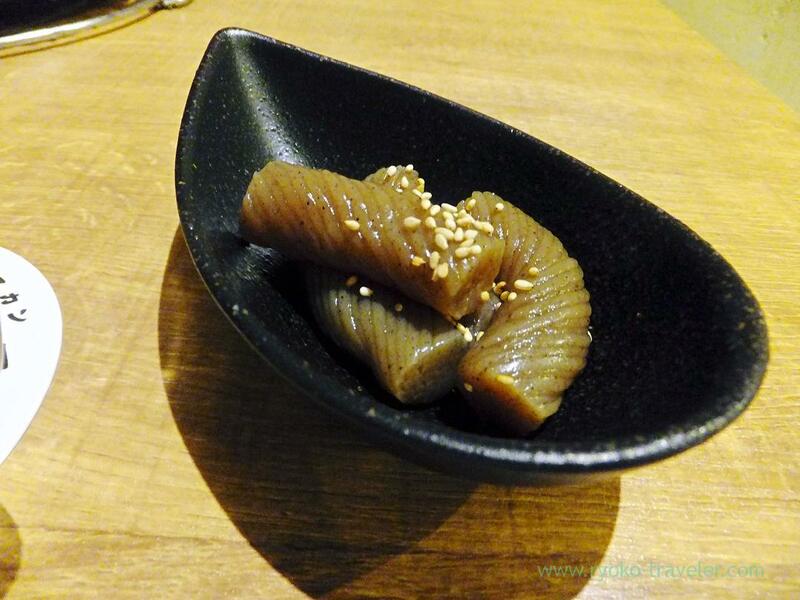 That day’s otoshi was boiled Japanese konjac jelly. Everything for jingisukan was prepared in advance. 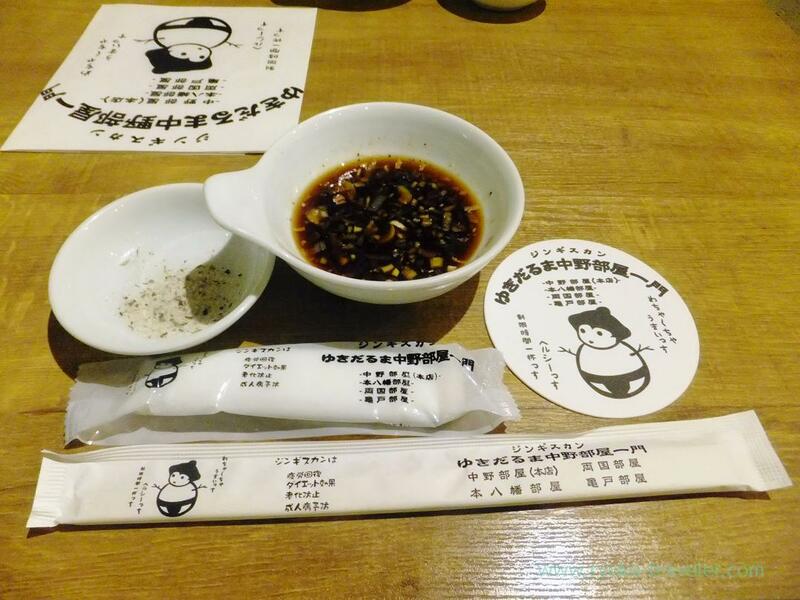 Sauce, salt, chopsticks, wet towel, coaster and paper apron to prevent from soiling of our clothes. 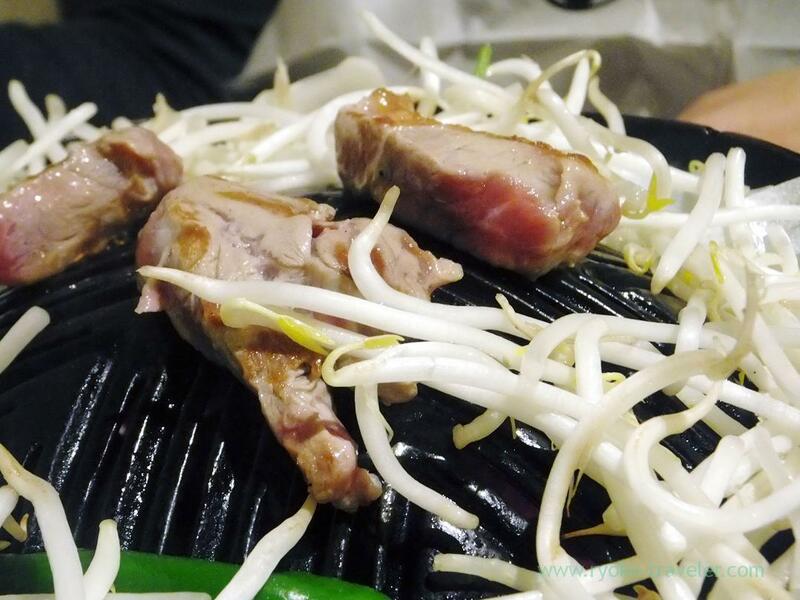 Starting set (スタートセット, 963 yen) contains vegetables and lamb meats. 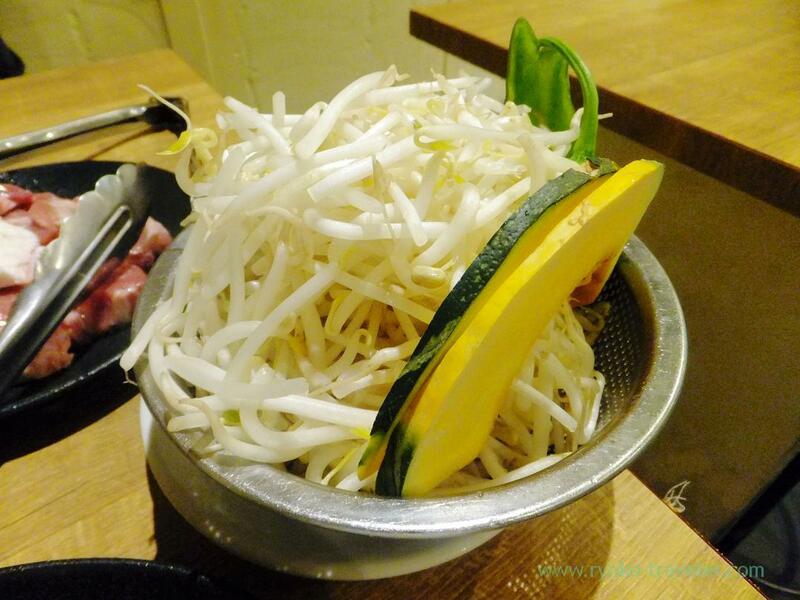 “Jingisukan” is local foods of especially Hokkaido, part of Nagano and Iwate. At first, setting vegetables around the grilling plates at the center. 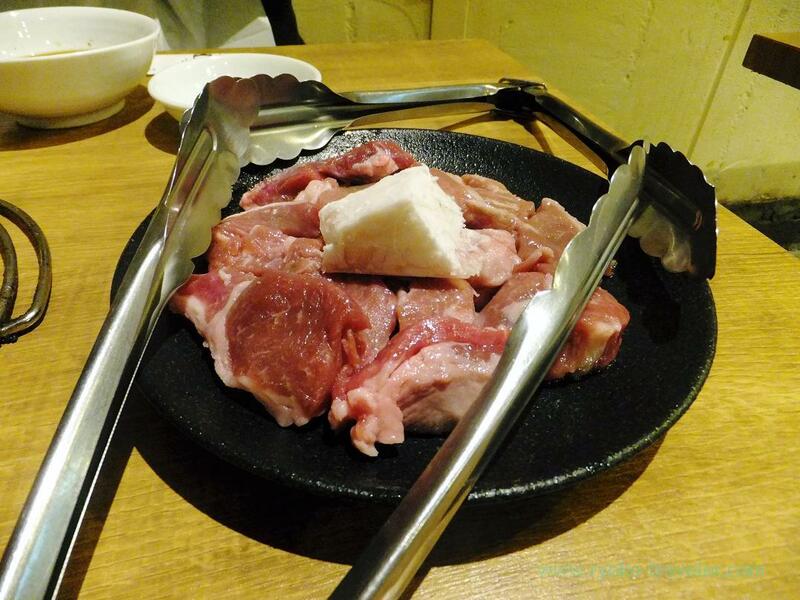 Meat juice flows and gathers around the grilling plates and vegetables absorbed in the juice ! Awesome ! 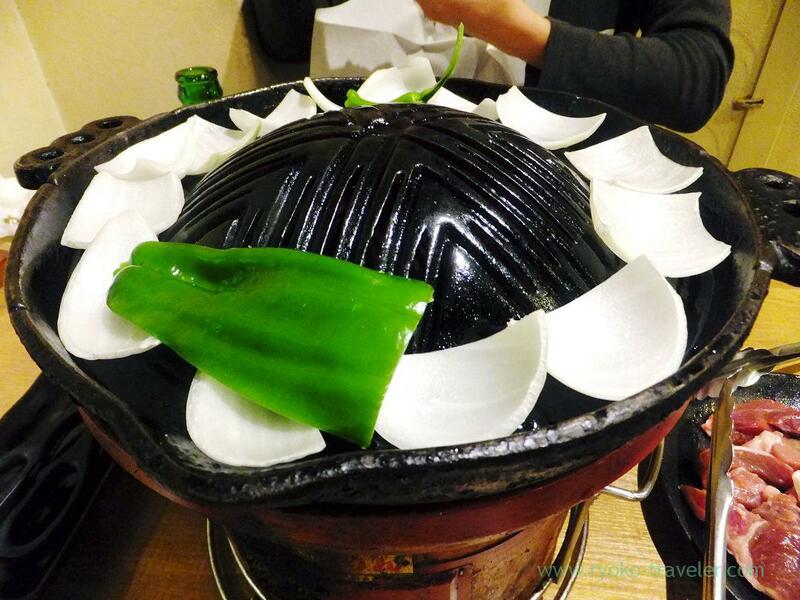 I think the person who invented this hotpot is great person ! 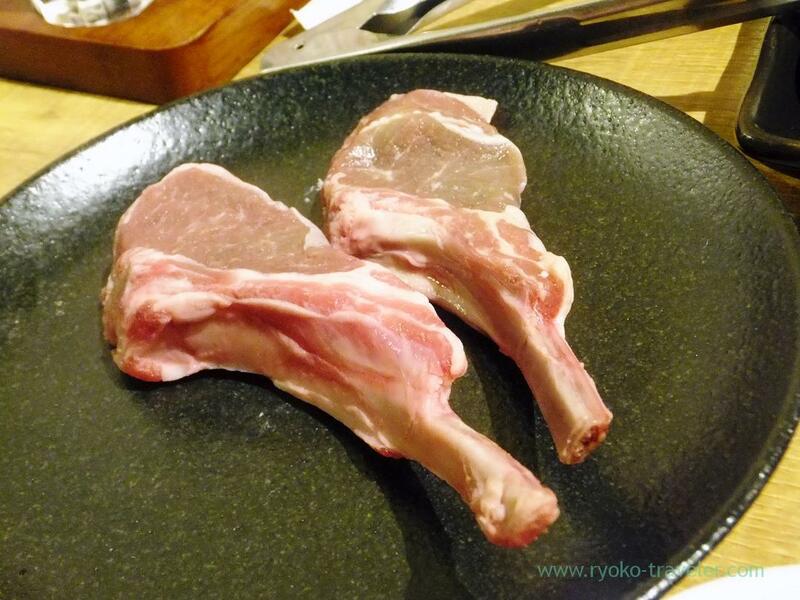 We added lamb-chop (ラムチョップ, 487 yen per one piece). We had second helping of it 😛 So juicy ! They prepare all-you-can-eat course, too. But those foods are enough inexpensive. So, if you don’t want to eat toooo much meats, I don’t recommend all-you-can-eat course because the time is limited. Some people couldn’t take seats because it was fully booked.